My sale snag list.....so far! 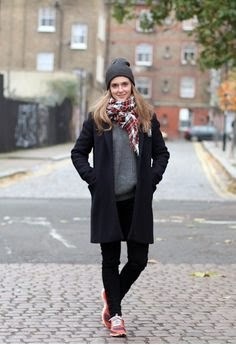 So between the coat and trainers I have pretty much spent my budget for December. Now I need to sit tight and wait for January. But that doesn't stop me from making lists!! One of my New Years resolutions is to buy less (I hear you all go yeah, yeah!!) but I mean to buy better so my new challenge will to try to buy investment pieces. I already have an occasion in mind for my first purchase of the New Year.....it's a top again!! I have a friends 40th bash in London at the end of January. I don't think it's going to be an uber dressy occasion, as it's a private dining experiance with Gingerline which looks quite theatrical (if anyone has been a part of the Gingerline experiance please let me know!!). I don't think it's the kind of occasion I need to go all out and get a dress! I have been contemplating something along the lines of heels, boyfriend jeans and a fab top! I am very much keeping in mind that is it January and likely to be freezing so I need to be sensible.....no skimpy, flimsey outfits from me I'm afraid!! I am looking at the brands which I have bought from in the past where I have found some real winners in items that I wear again and again so first up is a little selection from Jaeger. I adore this top and it is definately something I would be prepared to splurge on as I could easily recreate this look as I already have a beautiful Jaeger silk, collarless tux style jacket that would be perfect over this and a lot of my other selections I might add!! 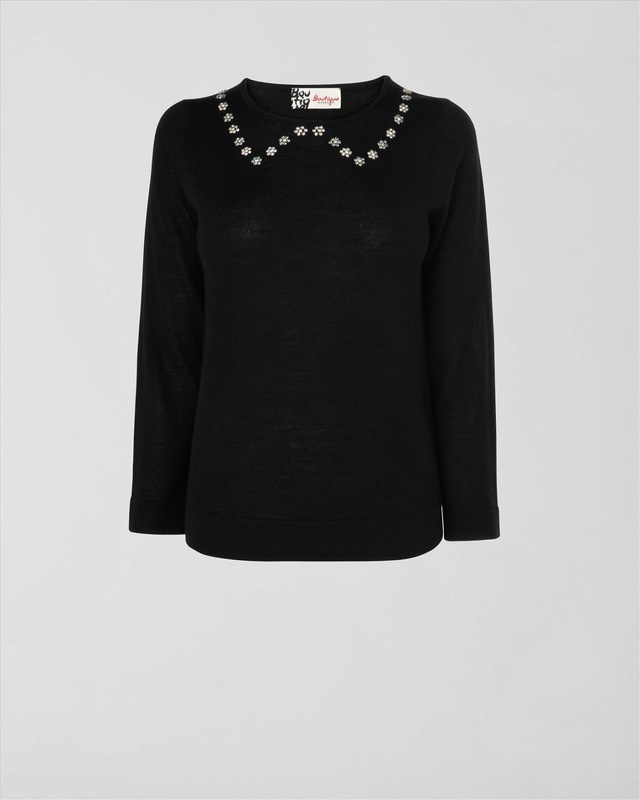 And then there's this gem collared sweater which I featured before in my work do conundrum but that I never got around to trying but I think would be fab and slot into my wardrobe nicely! I thank the wonderful Susie So So for pointing out these 2 gorgeous tops which would most certainly fit the bill! 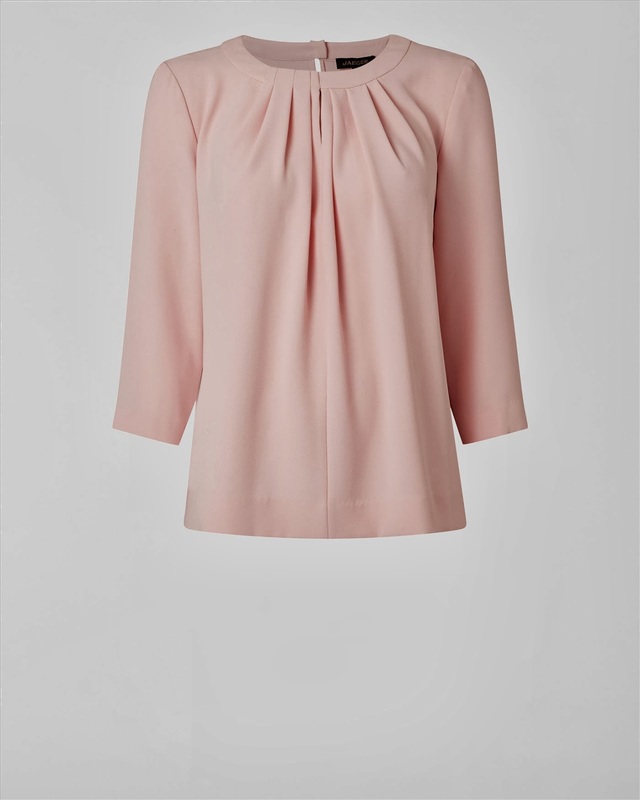 This ruched neck crepe top is the most lovely shade of pink....both of these could be contenders as they would take me right into Spring, with the added bonus that they are much more versatile than some of the sparkly numbers that are likely to languish in the back of wardrobe! All the Jaeger tops are currently reduced......I am hoping that by January there will be further reductions!! Onto Whistles now who aren't in sale yet.....but I live in hope as I've been lucky with snaffling some bargains there before!! This could really work.....smudged silk spot sweatshirt, love how they've styled this especially with those gorgeous shoes! 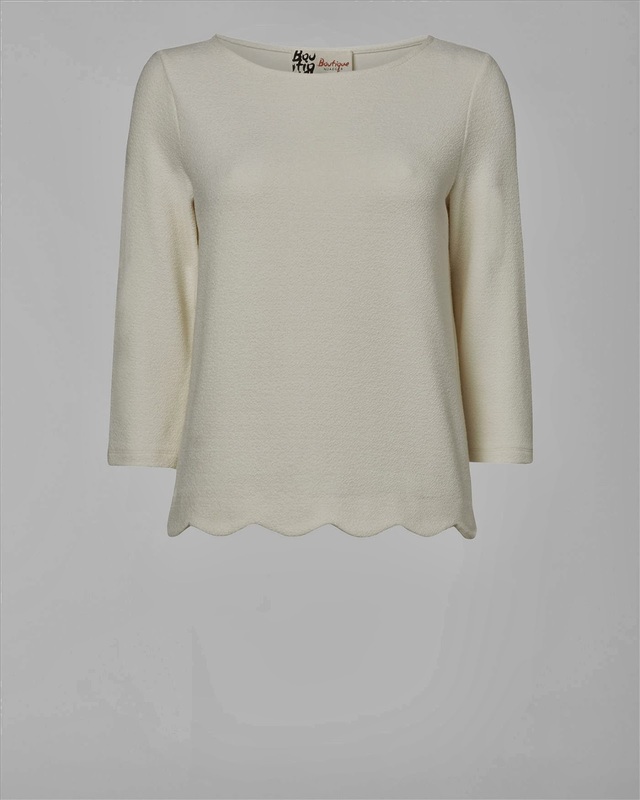 I'm keeping my fingers crossed there will be some great reductions at Whistles! I am looking forward to a bit of time to myself to have a really good look around in the sales and having a huge trying on session! There is also one other wish list item I am yet to bag. I've so far bought 3 and returned 3. I just can't seem to make the fur gilet work for me! The New Look one which I featured a few posts back was an utter disaster as the collar was huge and it totally overwhelmed me. 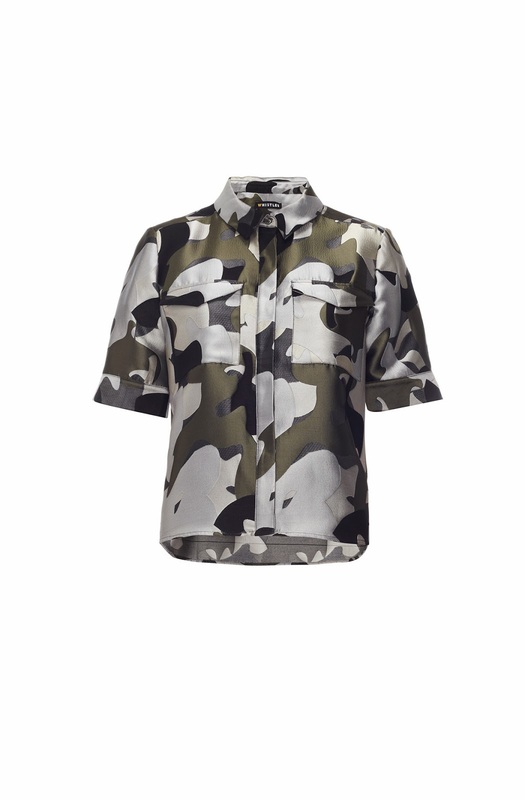 I also bought a black one from Next but umm-ed and ahh-ed about it for a week before I took it back. Then last week I bought this Zara one whilst in London but it's been in the bag all week so it's going back as if I truly loved it I'd have worn it by now! I think it's a bit to in your face for me!! 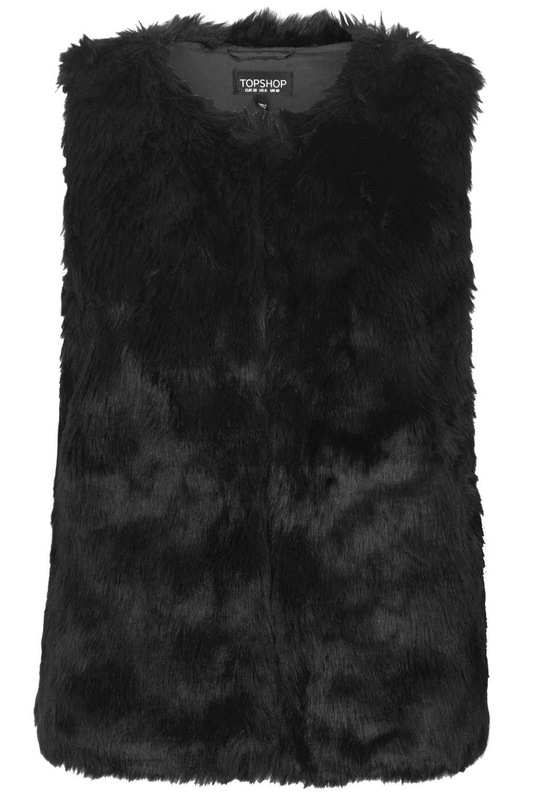 I'd still trying to hunt down the perfect gilet so if this one ends up in the Zara sale I may well be purchasing it! 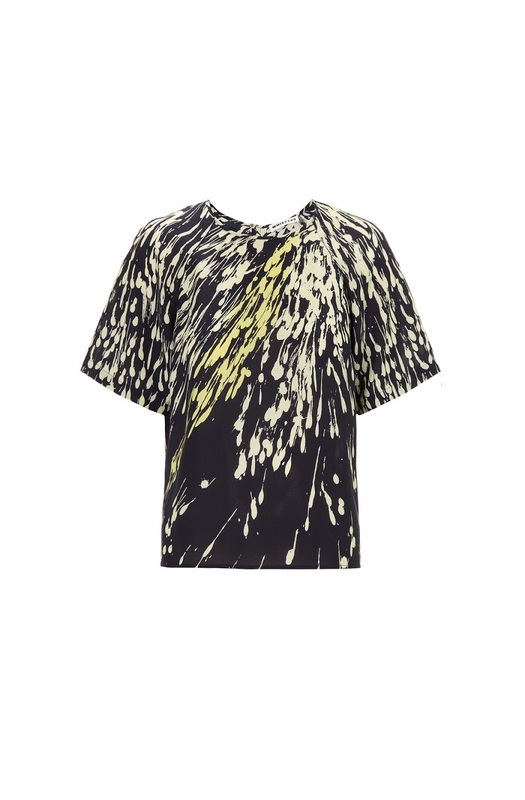 Or if Topshop can come up trumps on the reduction front again, I wouldn't mind this one either! Anyone joining me in making these sales wish lists? Maybe you have bagged a proper bargain already?! What did I end up wearing to my work do?? Sorry to say I didn't end buying anything new! I just did not have time to properly shop and try on as my mum has been poorly so I've been helping her out by doing her Christmas shopping and wrapping! I went with a dress and leopard print pumps (I needed flats as the venue meant a walk across town) instead of skinny's and boots. The photo was taken when I got home so please excuse the wretched quality! Onto Saturday's outfit fit for the food shop and a bit of ice skating! No doubt next time there will be more stuff to add to the growing list of sale items to snag.......that is if I have the time to surf the net!! The next few days are going to be very busy as it's the little 'un's school play tomorrow, 2 performances no less! Then I have work and once we've broken up on Friday it'll be time to hit the road to see our dear friends and deliver presents! Please excuse me if I'm quiet on the blog front until the festivities are all over! Phew.....pooped just thinking about it! 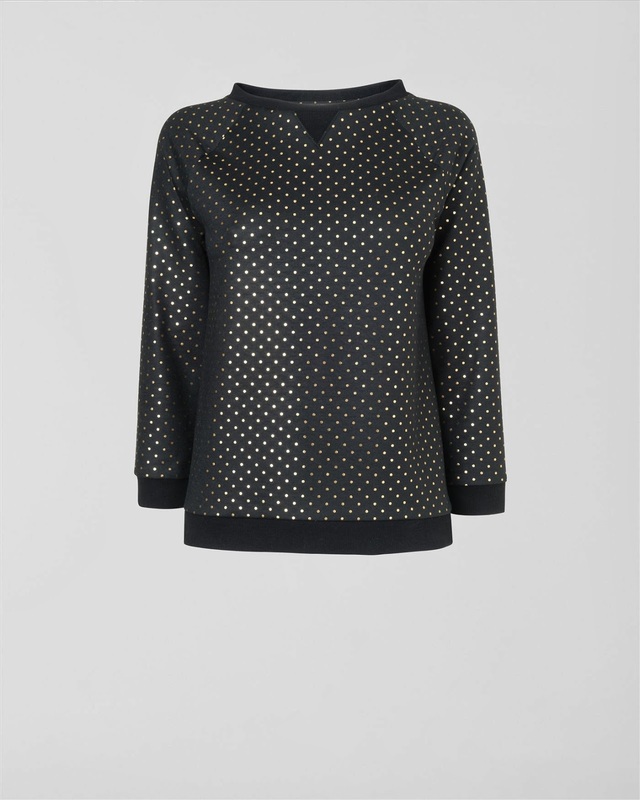 The Jaeger black & gold sparkly top is my favourite Vikki!! I have been very good as they are offering a further 20% on Jaeger today so fingers crossed it will be further reduced in the future!! Sharron.....please spill!! What is on your snag list other than a puffa?? So happy with the coat Sian....it's a winner as wore it straightway!! That's my sign that I'm going to get my wear out of it!! I really like the tops with the gold patterns. And that gilet from Zara is gorgeous...Hopefully you manage to snag one for a great bargain. I just love to bargain shop! Hey Sharon! 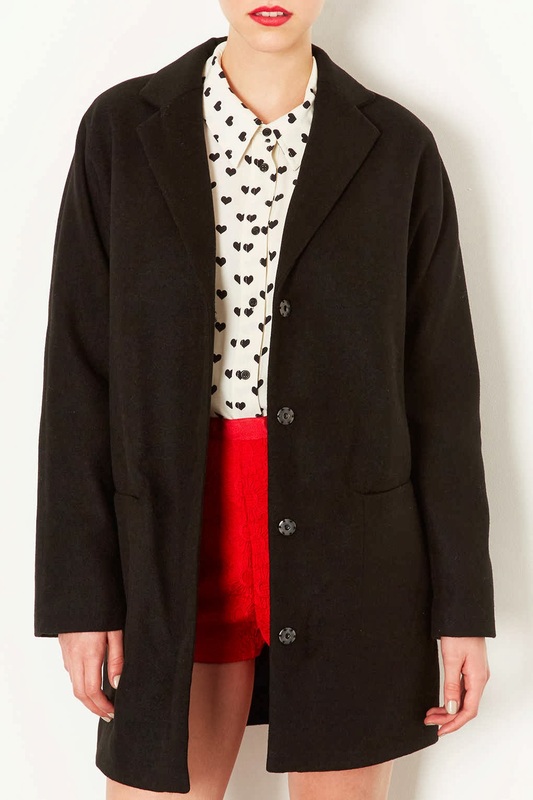 You can't go wrong with a simple, chic black coat can you?! Think I definately have all the coat shapes covered now though! I have tried so hard to find the right gilet.....I've even stalked a few on eBay but with no luck, I'll keep on trying in hope I can find one to suit! Isn't the pink crepe one gorgeous, I love the fact it is still quite a neutral shade and as I am looking to get a bit more colour in the wardrobe that one would be a perfect addition! Isn't it amazing how a pair of burgundy NB's can go with so much? Makes them a fab buy doesn't it? And you will be glad to know that I officially christened them on Monday when I went Christmas shopping in them. And yes, it's lovely being comfy isn't it? So many lovely tops and I have to say the Jaegar gold detail one is lovely - on the right side of dressy and timeless. Thank you too for the lovely mention. What I can't get over is your will power. I have fallen off the bandwagon so badly this week. All this Christmas shopping for everyone else got a bit boring so I did a little bit for me too. I just can't help myself! Who'd have thought the NB's would go with so much Sue!! Undoubtedly my best purchase of the season so far...I love them!! And now you know why! They are super comfy and they just seem to liven up every outfit and make me feel cool!! 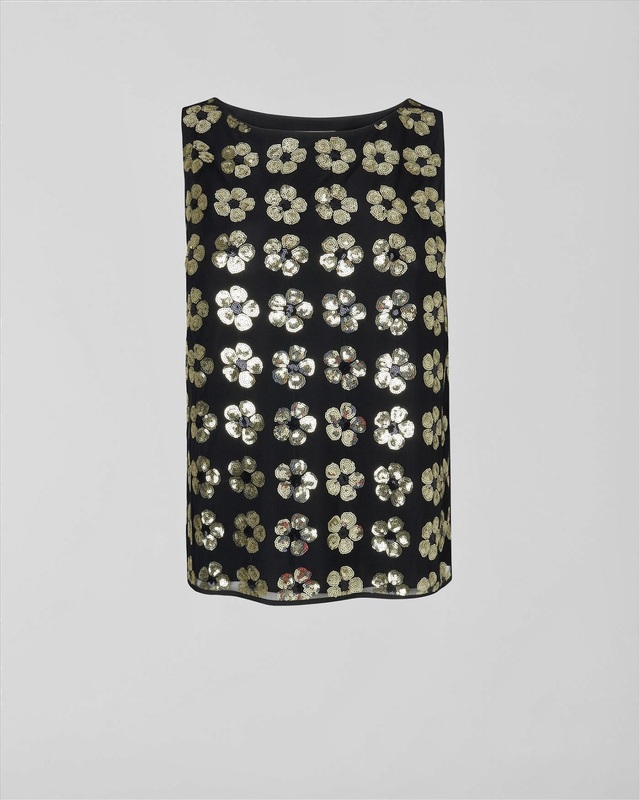 I love the sparkly Jaeger top, I know I would wear that for years to come, all I need now are the trews and brogues as I love that whole look!! Jaegar, not one of my go-to shops but love these! I'm torn at the moment, should I be the early bird that catches the worm and buy now or risk waiting for the 'proper' sales. 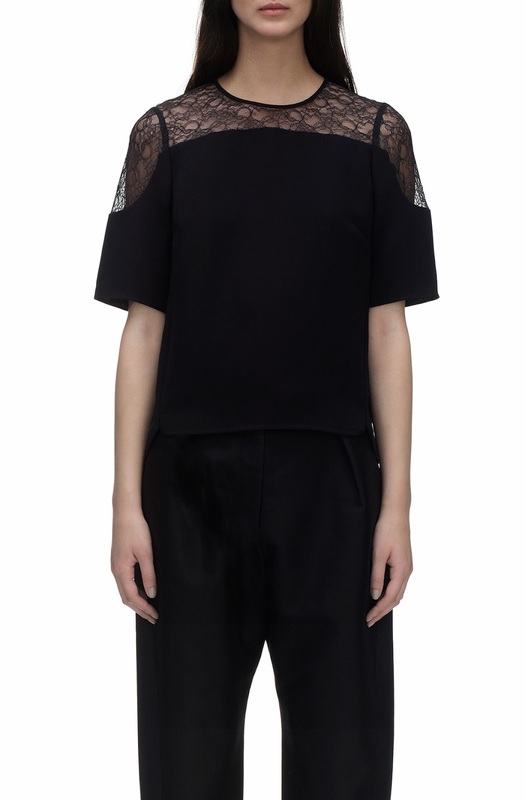 Jaeger have some great pieces especially the Boutique range!! I have had some great luck in their outlets too! !